News + Press — Kinda Co.
Kinda Co. are thrilled to have been featured in the press in November! 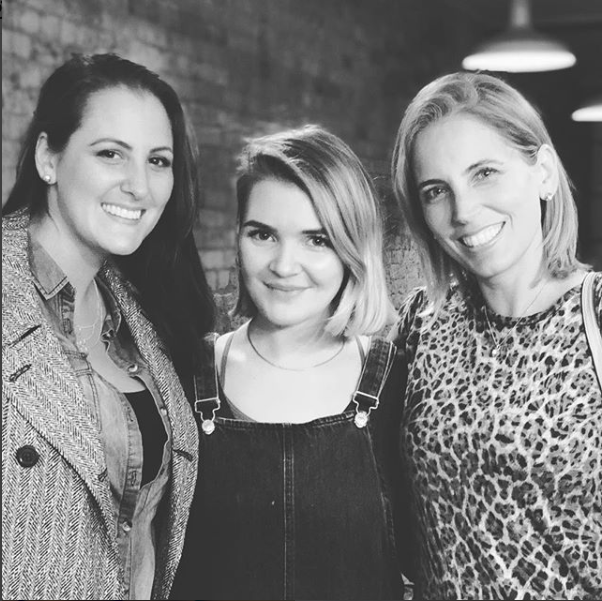 BBC piece inspired by Adrian Chiles comments on finding it hard to eat with friends as a vegan - our founder Ellie disagrees. 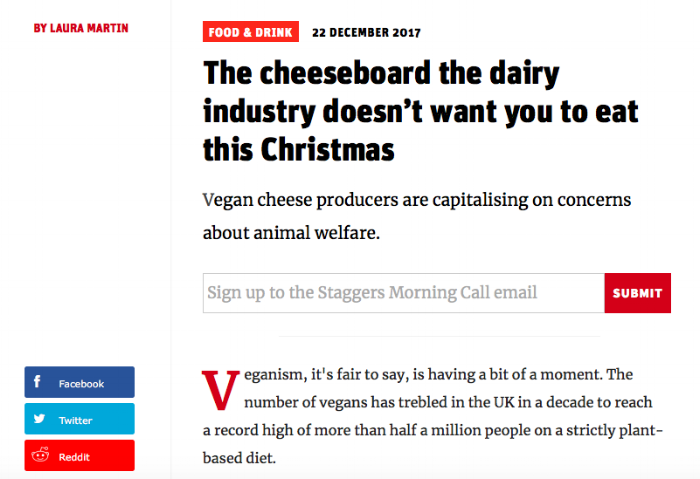 An article in the Independent describing the 9 best vegan cheeses in which Kinda Co. are proud to feature. Another piece in the Independent singing the merits of our market stalls we have in East London. An Express article on Jasmine Harman of ‘A Place in the Sun’ fame who attended our Vegan Fondue Supper Club. Kinda Co. have won the Innovation Category of the Speciality Food Magazine New Producer Awards!! When our founder Ellie entered in June she wasn’t sure if she stood a chance. 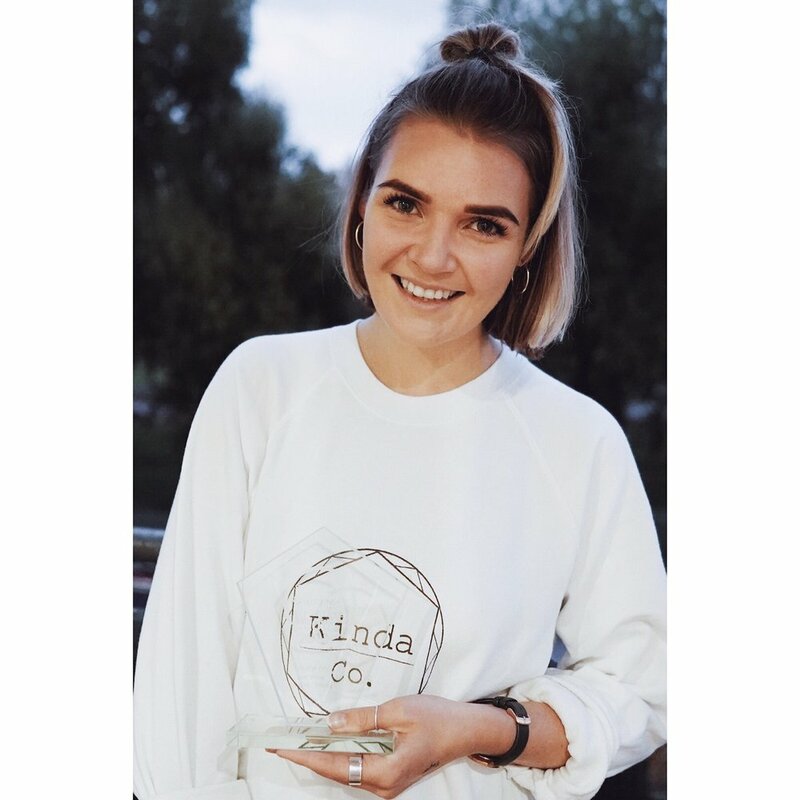 Vegan cheese is pretty niche out in the wider world of food brands in general, so when they got in touch to say Kinda Co had been shortlisted in August we were delighted. Thank you to Speciality Food Magazine and to every one that has supported us along the way. Now excuse us as we are immediately print off some business cards proclaiming that we are AWARD WINNING CHEESEMAKERS! 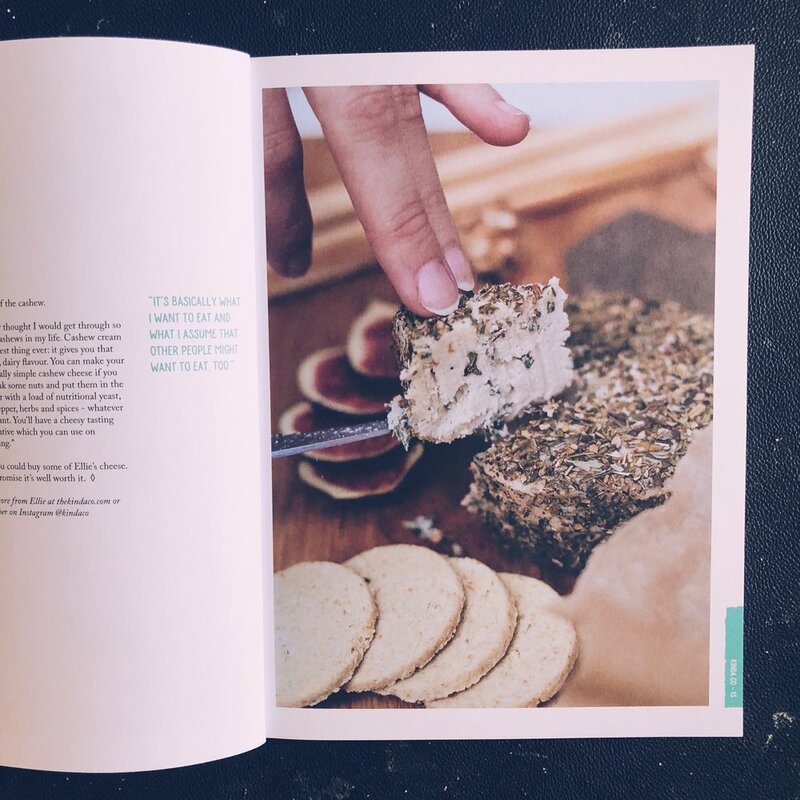 We were delighted to be featured in Om Nom magazine, who came to interview our founder Ellie, all about Kinda Co. and how she got started making cheese! They also included our recipe for Mac + Cheese. You can find out more about Om Nom mag here and check out their stockists for where you can pick up a copy! How to get your hands on some Kinda Co. cheese in time for Christmas! We have been really delighted to have so many requests for Christmas cheese orders but with time slipping away there are only a few chances left to pick up some cheese! So you wanna know how you can get hold of some Kinda in time for the festivities? 1. 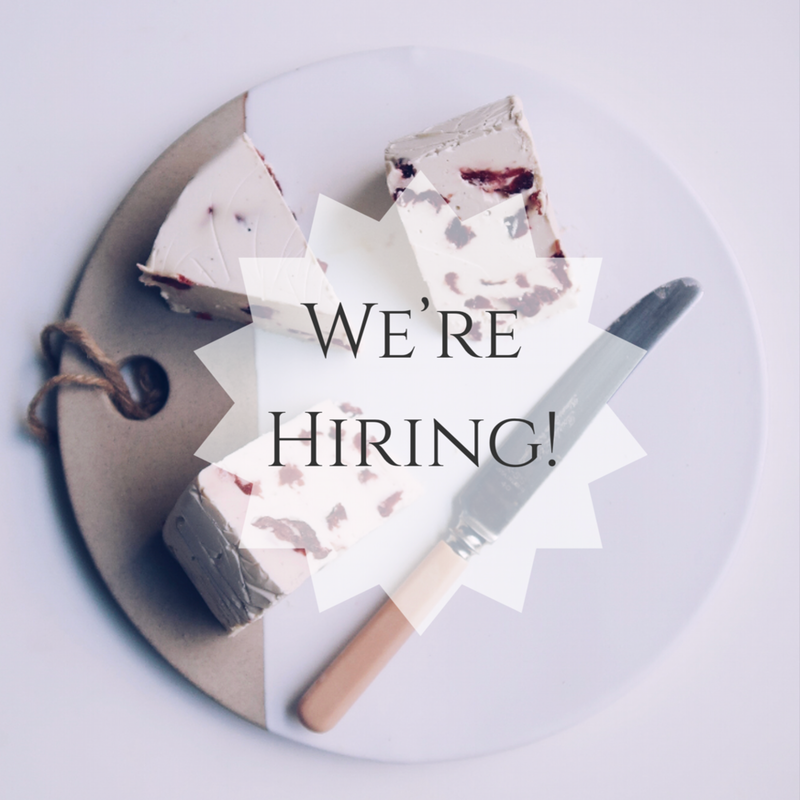 We will be at Hackney Downs vegan market this Saturday 16th from 11-5, please come early if you want to secure your favourite cheeses! We are expecting it to be a very busy day and as we usually sell out we would hate anyone to be disappointed. 2. 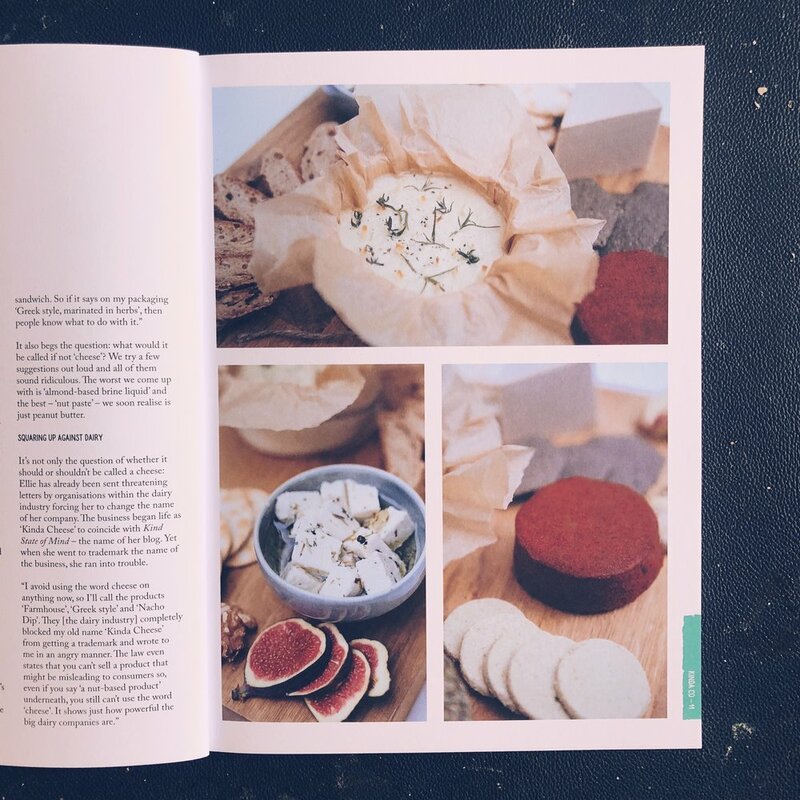 If you cannot make it to the market but would be able to come and collect from Angel, N1 next Tuesday evening (19th) then please email us hello@thekindaco with your order - all cheeses that are available for Christmas are now pictured on our products page. If you have any questions please leave a comment or drop us a line and we'll get back to you! Also for everyone that is asking - we will be trialling our online shop in the new year. As a small business we currently have our hands very full with making all the cheese for our weekly markets in December! However we are having break from markets in January so that we can dedicate our time to getting our online store up and running! Launching Summer 2017 - find us on Instagram @kindaco and Facebook https://www.facebook.com/kindaco/ for more info!